Looking for nicotine free e-cigarettes? CigElectric supplies the highest quality electronic cigarettes in the UK and abroad. Our goal is to offer only the highest qualities devices and liquid meaning all you have to do is sit back, relax and enjoy the best possible products available in the UK. Buy your nicotine free e-cig here and get your nicotine free e-liquid here. We sell a range of different strength e-liquids to suit everyone’s preferences. Our starter kit contains everything you need to get going, just add the zero nicotine e-liquid. If you already have an e-cigarette and just need nicotine free e-liquid click here. 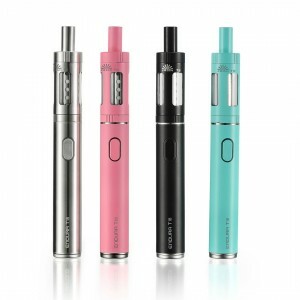 CigElectric’s recommended starter kit is the Endura T18. It works great with all our nicotine free flavours, just grab the kit and your preferred flavour and your ready to go. 1 x Prism T18 Tank. The best performing tank on the market. Great vapour production, flavour and long lasting. 1 x Endura T18 battery. A high capacity battery gives longer usage time between charging meaning you will always have your device available to use when you need it. 1 x Extra Prism T18 replacement coil. When your coil needs changing just change it out for this new one included. No need to buy a new tank each time. 1 x Micro USB cable. A handy USB charger allows you to charge on the go with any USB port. Add a Wall charger to your order if you prefer to charge straight from the wall socket. 1 x User manual. Comprehensive manual to get you going in no time. Nicotine is an addictive drug which is one of the most significant factors in a persons addiction to smoking cigarettes. Although the health effects of nicotine are well studied and have been shown to be similar to caffeine, having a physical addiction to anything isn’t healthy for the mind and body and nicotine free e-cigs can be a great way to help you. You still get the enjoyable tactile experience of using the device, with the satisfying flavour and vapour inhalation but without the nicotine. If you are coming from cigarettes you are also avoiding all the tar, carcinogens, second hand smoke and other 6000 dangerous chemicals present in tobacco smoke. I have been using the CigElectric starter kit for over a month now. I was a heavy smoker of over 20 cigarettes a day and using this product I have managed to quit with hardly any effort at all. It is really enjoyable and the flavour is great. No more smelly clothes or hands. My wife is so happy I am using this now and I feel so much better. CigElectric gave me some great advice, really fast delivery and most importantly a great product. I cant recommend this product and store highly enough. I started using ecigs several months ago when I bought a disposable one from a petrol station. After some research I found CigElectric’s products and I have to say they have changed my life. Not only have I stopped smoking for over 6 months I have also quit nicotine using the nicotine free e-liquid. There are many inferior products on the market but CigElectric only has the best quality stuff so im always sure the things im buying are gonna work great. There e-liquid is also the best and well priced around. These products have literally changed my life, im no longer a slave to my addiction. If i can do it you can too! In the last few years, the use of electronic cigarettes has opened new doors for people who want to be able to smoke without having their health affected. Over 1.3 million people in the UK alone are now using them. They are revolutionary devices that are set to change the lives of smokers and non smokers around the world. No longer do you need to feel the self loathing that many smokers endure. Buy your starter kit today and experience the fabulous world of e-cigarettes! Looking for menthol flavour? check out our menthol electronic cigarette. Hi Pearl, Although it is the nicotine that should be avoided during pregnancy we recommend consulting your doctor before using these nicotine free products.